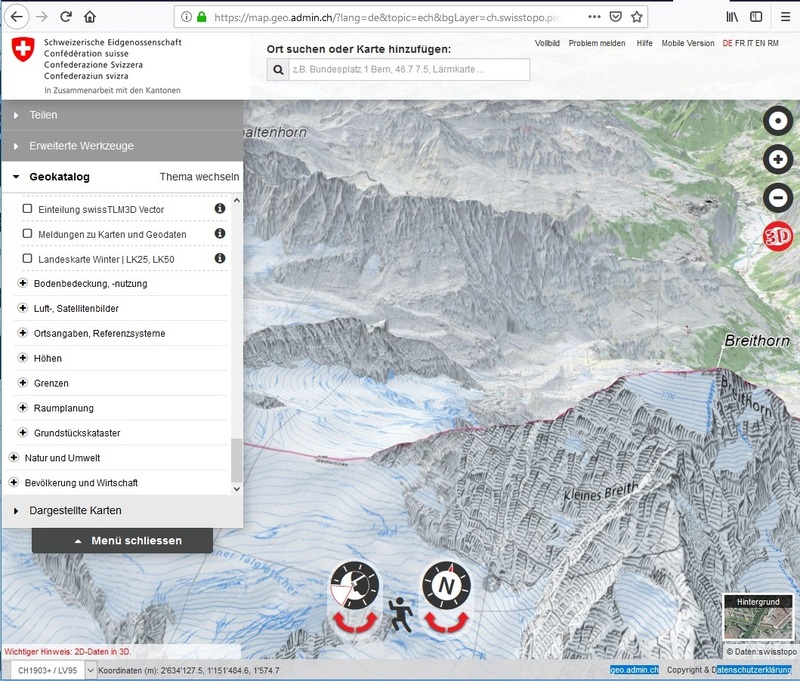 Look at this: https://www.bergwelten.com/map/3d/t/w/22579 ..... wow! Which tools do I need to create such a map myself ? Do you know how to ? Thx in advance for your reply. Zurb Foundation is a HTML/CSS UI framework and is not about maps. It seems this is a proprietary product by Procedural, built on top of three.js, and not freely available. It was first introduced as piste.io (has errors) a few years ago, e.g. see slides. I think what makes it look special is that everything is actually rendered in 3D, especially procedurally generated terrain surface like snow and rock, that looks nice and sharp (but might not match reality). I'm not aware of any other web mapping library that does this. Usually raster tiles made for 2D (like aerial imagery) are overlaid over terrain and therefore look blurry and distorted on mountains because they are stretched on steep slopes. One 3D alternative might be CesiumJS, using aerial imagery. It can overlay tracks and render 3D building and tree objects (Swiss Topo example, see also mboeringa's answer), but I have not seen examples with more rendered map features like streets and water yet. This is a desktop solution though, so you can't create webservices. It is also Windows only. 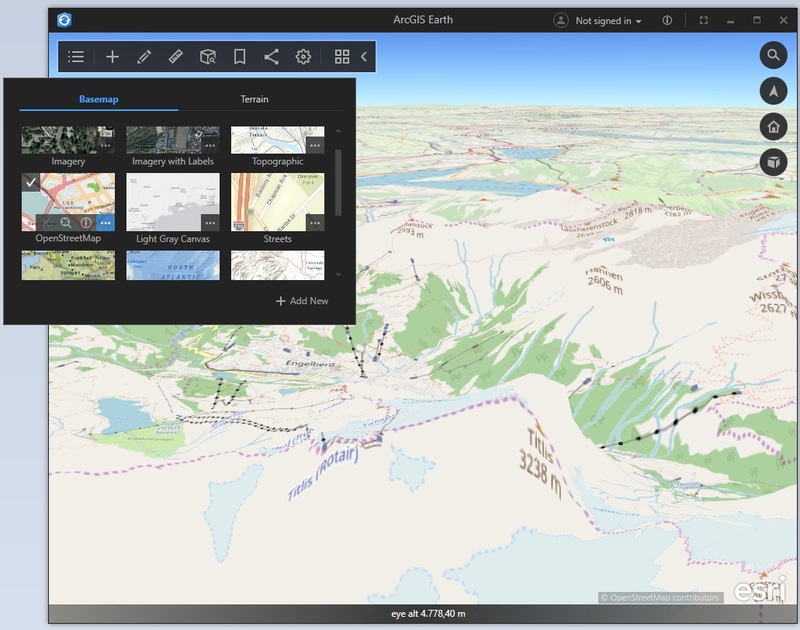 But it does a lot more than Google Earth ever did, especially in terms of the ease of adding custom data and a wealth of ArcGIS Online available data (e.g. scientific and statistical layers) provided by the GIS communities, although for some of these layers, you will need an ArcGIS Online account with ESRI to access them, while others seem accessible as is. The download button is a bit inconspicuous at the entire bottom of the first mentioned page. thank you very much for your help. After a long time, I am busy with maps again. I decided to try Cesium. A result is here: https://2016-09-15-obere-firstalm.glitch.me/ Move the blue "time pointer" at the bottom. In one of the symbols in the corner r/h top, you can select OSM.